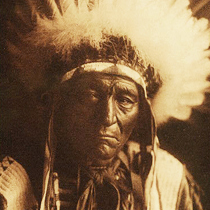 In the summer of 1900 Edward S. Curtis journeyed to a Piegan medicine lodge on the plains of Montana. He witnessed one of the final Sun Dances-an ultimate, mystifying, and intensely affecting display of American Indian culture. In that hallowed medicine lodge, amid the drumming and chanting, the singing and dancing, the vision for his life’s work crystallized. During a time when Native American cultures faced impossible opposition, the Sun Dance performance acquired profound personal meaning for Curtis. He was deeply moved. Curtis focused his unremitting vision to preserve the beauty and complexity of Indian culture revealed that summer. In the following few years his Seattle photography studio became the base for this project and he embarked on self-financed trips to photograph and study in the Southwest and Great Plains. Curtis was an exceptional professional photographer. His early negatives of Native Americans earned international recognition, and in 1904 his portraits of Seattle society earned him an invitation to meet President Theodore Roosevelt. Roosevelt admired Curtis’ determination to save Indian culture. The two became friends. Curtis was bolstered by Roosevelt’s enthusiasm and with a letter of introduction approached financier J. P. Morgan to solicit patronage. What would become Curtis’ magnum opus and a landmark in publishing history, The North American Indian, began to take shape. 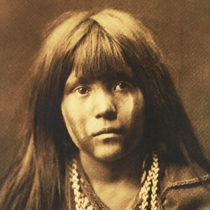 In 1906, Edward S Curtis was received into Morgan’s office. Initially, Morgan tersely dismissed Curtis’ request. When Curtis showed Morgan the photographs, Morgan told him to publish them in the finest set of books ever made. Morgan’s assistant said it was only the second time he had seen Morgan change his mind. Over 30 years, Curtis fashioned a magnificent, luminous portrait of American Indian life-documentation of over 125 tribes west of the Mississippi River. 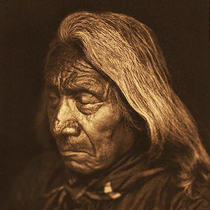 Upon its completion in 1930, “The North American Indian”, consisted of 20 volumes, containing 1172 hand-pressed photogravures and 4000 pages of written text. Each volume was accompanied by a corresponding portfolio containing at least 36 large photogravures in each portfolio, 722 in total. Curtis’ work stands a monumental photo-ethnographic publishing project and an unrivaled masterpiece of visual anthropology. His images remain indelible in the American consciousness. 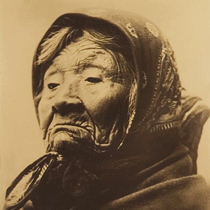 Valley Fine Art is proud to have access to a great deal of Edward Curtis photos for sale. Give us a call today if you’re looking for any particular piece, or stop by our beautiful gallery to see our collection. Our knowledgeable staff is always available to discuss the artwork with visitors, and show you our collection of Edward Curtis Photos for sale!